With his large eyes and broad smile, Archie radiates youthful exuberance. 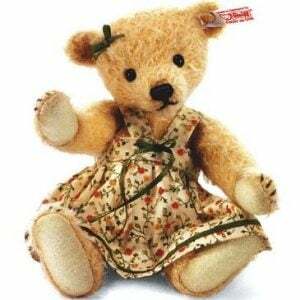 While this playful looking cub may appear to be a youngster, he’s actually based on a historic Teddy bear from 1910. Archie has been painstakingly reproduced to capture the look and spirit of the original. 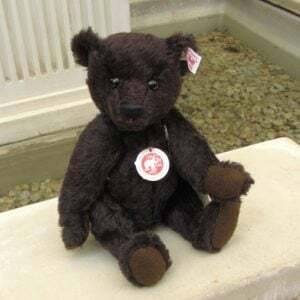 Archie has real glass eyes, brass coloured mohair fur, cupped ears, wool felt paws, hand stitched facial features, and is stuffed with Swiss wood shavings. 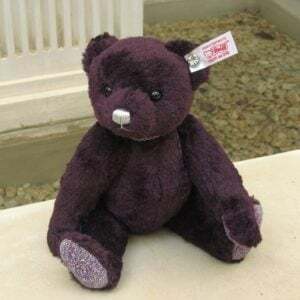 Archie features a traditional Steiff growler. He wears a nostalgic cotton coat accented by a quilted vintage style ribbon. 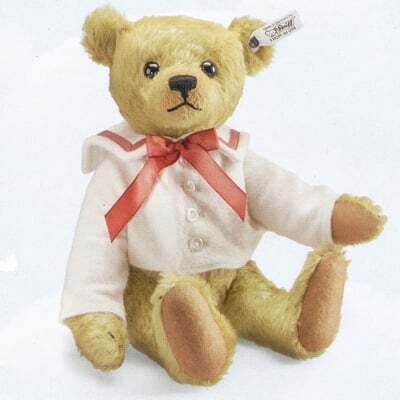 Archie’s enduring appeal proves once again that classic Steiff designs are truly timeless.